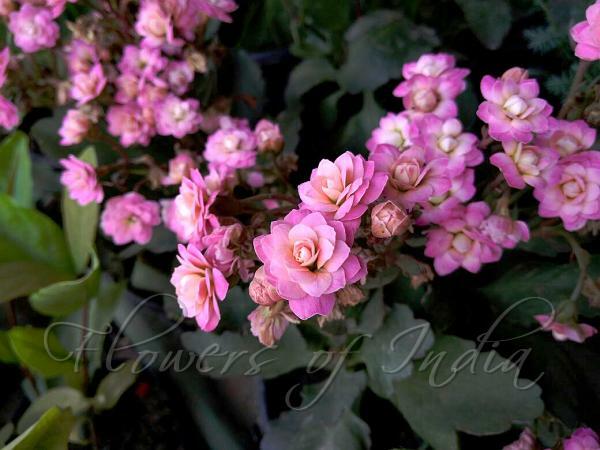 Kalanchoes traditionally have four-petaled flowers, e.g. Flaming Katy. In 1998, a curious mutated plant was found which, instead of the normal four petals, had 32 petals, forming a small rose. 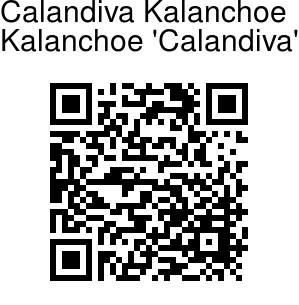 This was then extensively bred and hybridized and is sold under the brand name Calandiva. Calandiva hybrids have 32 petals arranged in tight rosettes like miniature roses, and are available in all colors seen in the species. They have becomes popular houseplants. Leaves are fleshy, toothed, elliptic-obovate.